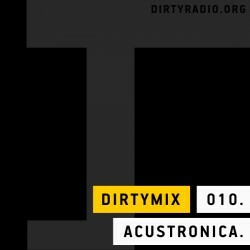 An exclusive one hour continuous mix created by one of our specially invited guest producers and DJs. We regularly invite guest producers and dj’s will create an exclusive one hour continuous mix, giving them the chance to break genre barriers, and giving you an opportunity to explore a unique soundtrack. 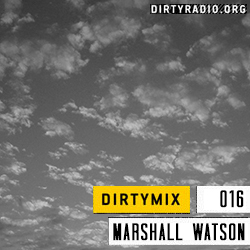 An atmospheric drum and bass mix from Marshall Watson… sequenced and mixed in Ableton Live. This time we feature a minimal and deep house mix from DJ Smok, a versatile DJ and producer from Finland. DJ Smok a.k.a. Juha Moisala became interested in electronic dance music in the late ’90s at local events in Northern Finland. Since then house music has been a big part of his life as a DJ and a producer. In 2002 he made his first public performance as a DJ at local club event and a few years later he started producing music. Despite the love for house music he has developed a more versatile musical taste over the years varying from deep and soulful house to drum’n’bass. This mixtape is all about deep house and it blends together atmospheric and even a bit more minimal tracks from Smok himself as well as labels like Freerange and Delusions of Grandeur. Each week, one of our invited guest producers and dj’s will create an exclusive one hour continuous mix, giving them the chance to break genre barriers, and giving you an opportunity to explore a unique soundtrack. 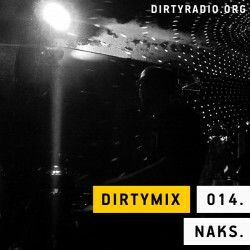 This time we feature a mix from Naks, a Berlin based DJ playing italo, electro disco, chicago, electro and techno. This week we welcome Simone from the self-proclaimed wild Italian duo 2gi (“2 Genial Idiots”). 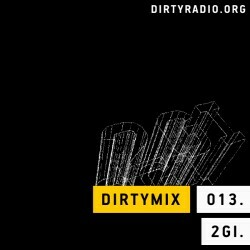 Expect a raw mix of heavy electro beats and mash-ups. “I hope you will enjoy it as much as i did compiling that stuff”. You can also check out the latest 14-track album “Cartello fiorentino” on Bandcamp. 14. Battle Royale – Does It Offend You, Yeah ? 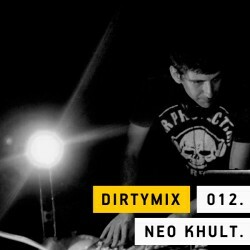 This week, Barcelona born DJ Neo Khult steps up with a superb selection of Tech-House and Techno. 04. Paul Ritch – Carrrrramba (Monkey Mix) . 08. Rino Cerrone – Rilis 05 A1 2010 Re Edit . Each week, one of our invited guest producers and dj’s will create an exclusive one hour continuous mix, giving them the chance to break genre barriers, and giving you an opportunity to explore a unique soundtrack. This week, SubReachers showcase some of their work along side some of their favourite Dubstep artists in an amazing mix of Dubstep greatness.. check it out! Subreachers, working out of Antwerp, Belgium, have been banging out some serious dubstep from their studio for quite a while now. They have gathered quite a following on the underground and soundcloud scene, their brand of inventive and exciting dubstep creations ensuring that they will be a feature of the scene for quite a while to come. Not content to stick with Dubstep they have also tried their hand a other electronic genres, and you can keep up with their work via their SOUNDCLOUD where there is nearly always something new and exciting to listen to. Founded in 2009 by Massimo Discepoli (aka “Nheap”), Acustronica is a netlabel with a specific purpose: to find and to promote those musicians and bands who are making some refreshing and creative music. So what groups at that stage were really influencing you? Is DJing your only interest? Do you work in any other genres than Breaks? What do you think of the alternative scene in Ireland at the moment? What DJs are you digging at the moment? 1. intro – Gareth Moore vs requiem for a dream. As a founding member of Tomato, Graham Wood has been one of graphic design’s leading figures for more than a decade. Three months ago, however, he followed fellow Tomato member John Warwicker and Peter Saville as the latest big design name to begin working for an advertising agency. A refurb of the creative department at JWT so that everyone sits in one big open space is designed to encourage the kind of wide-ranging involvement that Wood hopes will allow him to help produce more interesting work across the whole agency. “We’re trying to avoid everything being so demarcated, to be open and have people talk to one another,” he says. 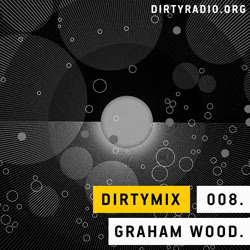 Y: Hello Graham and welcome to the Dirtyradio DirtyMix, please tell us a little bit about your song selection for your mix. G: hello yannick and everyone and thankyou for having me. the songs are a bit glass/bottle/bottle/glass. a bit woo, a bit wahey, a little bit me, a little bit you. something for everyone for a sunny day when all you need is happy neighbours and a lovely campari and orange. you’ve done the dusting, your shoes are in alphabetical order and, just for brief moment, that feeling that they are coming for you recedes to a gentle neurosis rather than the usual full-blown paranoia. Y: Tell us a little bit about your relationship to making video clip for band over the years. its like the difference between a banana and a plantain. bananas make me uneasy but i don’t half love the glorious plantain. Y: Any favorite piece of work? Most time consuming? the live visuals (when i was doing them). both favorite (because it was so varied and rich and joyful as well as truly collaborative and ground breaking although i say so myself) and also most time consuming too (because ultimately it was the product of 6/7 years of work). Y: What did you dream last night? i can’t remember the details but i do remember it was like an epic action movie. Y: How do you feel about the sky/space/stars? Y: Do play music while working ? Y: How is the chemistry like while working with Underworld. Y: Is there a theme to the mix ? I feel like it’s time I booked a vacation on the moon. Coffee, tea, juice or brains? Y: What does your perfect Sunday look like? Y: Do you play an instrument? Y: Do you have plans with full length film? i would like to do that but i wonder . . .
Y: go you feel that design is kind of like cooking a meal ? Y: Night owl or early bird ? Y: Any more book like Tycho’s Nova coming in the future ? there’s a couple of things i’ve done since that havent come out (yet), other little thoughts. i’d like to do something with interactivity that was like that . . . the thing on the PSP WISP (the Miracles and Wonders thing) was an early go at that. i’d like to do much much more with that kind of thing. i deeply respect and admire how Jonathan Harris has really thought about narrative and interactivity. that’s truly impressive and beautiful. also Roy Ascott is an inspiration for this kind of potential work. This week we open the decks for a House session with Adelaide based DJ, Will Jax. 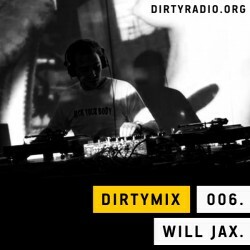 For the past four years, Will has been playing funky, soul and jazz house sets, playing out a selection from his favorite genres. 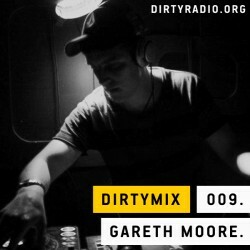 For this mix, he has showcased his own productions as well as other Australian artists like Sonny Fodera and The House Inspectors (also Adelaide residents) and also included some tracks that he is really feeling at the moment like Dimitri Max, Arco and Fabio Bacchini as well as a little edit that Giano did. Will is currently working on a number of tracks, and is very excited about his upcoming releases on Flapjack, Maracuja and Union recordings. He also tells us that he has been working on some more downtempo productions, providing him with another avenue to be creative and applying experience from producing house into different genres. 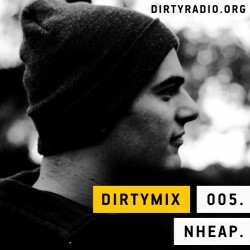 This week, Italian producer “Nheap” showcases a selection of ambient electronic. Massimo Discepoli, aka Nheap, is a musician and producer from Perugia, Italy. Nheap’s music can generically be defined “electronic”, but actually it is influenced from nearly every musical genre, jazz to ambient, classical to contemporary, and obviously every kind of electronic music. 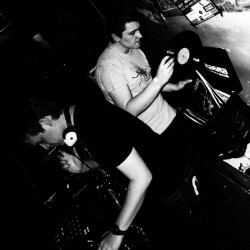 Nheap’s main influences are Aphex Twin, Squarepusher, Miles Davis, Bach (and many many others). He started playing drums in 1990, exploring every musical genre over the years, particularly jazz and funk (for example on the Vibrham CD by the homonymous trio, recorded in 2006 and internationally distributed). In 2005 he started playing piano, and at the same time began producing his own music. The first album “Realight”, was released in 2008 by the Musicaoltranza netlabel, and it was favorably reviewed by the press. Some other tracks were included in various compilations. Nheap’s second full length release, ‘skymotion’ is features 10 tracks, ranging from jazz to electronic and ambient to avantgarde; the drums were played live. The album is available for free download at nheap.com until October 30th 2009; then it will be available on iTunes and others online vendors, and also on nheap.com and acustronica.com. Nheap is aiming to reach an ever tighter integration between electronic music and music played with real instruments, at the same time not excluding totally electronics or acoustics compositions. This week we head to Sweden, home of colourful DJ, singer, songwriter and producer – Adeline Supreme. As a host of P3 Dans, the biggest electronic music radio show in Scandinavia on Swedish National Radio, Adeline is spreading her love for electronic music to about 200,000 listeners across Scandinavia every month. Combined with releases on Einmaleins Musik and Keno Records (David Keno/Kindisch) and djing’ around Sweden, Europe and in the US since late 2005, she has established herself as a colourful dj and artist. It’s behind the decks where Adeline really shines. Playing club focused 4/4, from percussive deep house rhythms to early morning techno, one thing that is always present is energy, never failing to make the dance floor shiver. Adeline Supreme is part of the fab dj duo Housewives, twice awarded for Best Club and with two fresh releases, first single Dirty Dancing and a major label remix for the biggest rock band in Sweden. This week LA based Palenke Soultribe step up for a session of breakbeats, electro-dance grooves and touches of traditional Afro-Colombian rhythms. Critically-acclaimed LA-based Colombian , Palenke Soultribe, have taken electronic music to new heights by deconstructing Afro-Colombian rhythms and blending them with underground beats and exploratory synthesizer sounds. Palenke Soultribe (PST) represents the new generation of Colombian musicians ready to break all the rules. Y: First for the fan who were at the concert in Chicago last week. How did you like your experience in the city? Juan: Chicago is an amazing city. We are happy to know that Palenke brought us here. We had a chance to look around and admire its architecture and public spaces. Y. Palenke as mini tribe… what music would you listen growing up? Personal favorite. Juan: One af the good things about being a band, is that you have a variety of influences merging together onto a musical proposal. So for example all us were exposed to old Colombian music like cumbias, porros, etc..when we were kids, but also we had music coming on the radio from Europe an USA. We have very different influences anyway they go from The Beatles, Pixies, Michael Jackson. Even if they don’t fit under the same genre. At the end it is all art. I remember a savvy music teacher saying : ” …There are just two types of music : the good one,and the bad one” More recently The Chemical Brothers, Underworld, FatBoy Slim and Soulwax have directed our sound. Y. How did you guys meet up ? Juan: Me (Insecto) and Popa met in 1999 at recording studio in Manizales, Colombia where we were doing projects for our bands. We started to talk about music and felt we had great coincidences and similar visions of the music wwe would like to do then. We started to work on the project under a different name.” Polaina Dinamita” we released 4-5 songs. Polaina started to explore the possibilities of mixing electronica wit latin stuff. years later after a 4-5 year gap we resumed production in a different city, Los angeles; a differnet name, Palenke, We incorporated the incredible sound of drummer Zuluaga who gave us that extra punch we were looking for. Y. How is the studio life working as a team with guest vocalist, and working on scoring movie soundtrack, how to you balance it all. Juan: We take every challenge as an opportunity to do something artistic and to learn more. After all it is about using your ears, the experiences you have collected and the tools available. Sometimes we feel we are involved in too many things which adds some stress but that is the way it is gotta be now when we still have some physical strength! Y. Today’s technology offer so many possibility and you guys seem to embrace it a lot seeing you use multiple controller with Ableton Live. How is the recording process vs. playing live, do you compose directly in Ableton? Juan: Ableton is a great tool for us. Different producers have their own babies and I am not saying it is the greatest tool ever ( unless Ableton pays me 1 zillion dollars to say it) but it is the one that fits our needs. Both Live and Studio. The main advantage is it lets you alter things without pressing the STOP button. That allows us to create things on the fly. Virtually on the fly. We recently created a remix on a plane between Chicago- LAX. Then you get to LA, open the session in your studio, mix it for a couple of hours and send it over. That simple. It is the workflow. Y. One of the thing I quite enjoy on your album is the fact that there’s multiple guest vocalist on there and your use of vocoder, the fusion of it all make quite it quite diverse, was there a reason for this. Any guest vocalist you would love to collaborate with? Juan: Well I think started form knowing that we are decent producers but necessarily great singers. You have to know your limitations and work around that. Luckly we are close friends with great people like Itagui from Locos Por Juan, Sr. Mendez, Toddy Ivy, Pollyanna, etc..so we are always experimenting with different colors. Also, Technology can help. That probably make our records more bearable. Would you imagine Karl Hyde singing an electro-cumbia? that would be sick! Y. Travelling around and playing around the world, do you keep the recording process going even on the road ? Juan: We try to do stuff between tour dates. We work ideas on our spare time in hotels etc..Then when we find two weeks off we try to mix in the studio and record the instruments. Y. Something random, if there was such a thing as brain add-on to bring more possibility to the music production would you get surgery to have the lastest toy? Juan: Ha, ha! probably not. We always forget to recharge our cellphones, I know we would forget to recharge our brains. Y. Soundcloud and social media propagation / Youtube revenue sharing… it’s starting to feel like Google and the Itunes store are becoming the new labels of this age, how do you feel about this, do you think it open up more opportunities for band than being on a label. Juan: Well a label it is not a bad thing. Depending on your deal. But generally if you get a decent deal you will also benefit from their reputation, contacts and history. But it is not a must. You can develop you own thing if you have the time, the will and a decent product . They are great tools out there for a band to become known. Y. What’s in the future box for Palenke? Dream place to play ? Favorite festival ? Juan: We are working on our next EP . titled MAR. We just released another one called WEPALENKE. WE like the idea of releasing short records every 3-4 months . Thats keeps our fans close and it is a good way to track our progress. We have a load of show ahead of us that include USA, Colombia and Mexico. We are pursuing Europe and Canada. We would also love to play in Coachella. Y. We love to share music and would like it if you could share artists we and your fans should check out. Juan: Speaking of sharing . Please download our latest EP for free. http://palenkesoultribe.bandcamp.com/album/wepalenke-ep. Also check Locos por Juana (Miami) , Sr. Mendez (Venezuela), Superlitio (Colombia) , Blanali (Bogota) great friends and artists. Y. Bonus Q Palenke Buffet…knowing your music we would love to have you guys to cook us a meal, what would it be? Juan: Hey you should try the Ajiaco ( Colombian food) . We don’t feel that strong with the knifes and pans but we would take you to Las Tablas in Chicago and pay for it!!! deal? 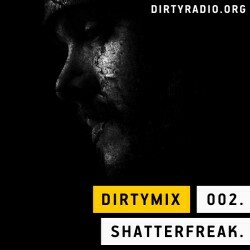 This week, Dublin based producer Shatterfreak steps up for a bone shattering Dubstep session. Ive been producing and playing the occasional live show in Dublin and Cork. I show up and do sets of all my own material via Ableton, although i’ve recently been bitten by the vinyl bug too. I’ve been lucky to be involved in ‘BassOff’, which turned out to be an absolutely crazy couple of nights with big crowds and a really great atmosphere at both the Cork and Dublin legs. It was really nice to see people mobilise in such numbers for an all local line up. Dubstep has broken through from the underground, so how does your work stand out from the ‘mainstream’? I like thick ambience and heavy bass and intricate percussive work. I don’t really have a template, i’ve done a few tracks that i consider to be quite challenging to the listener because they don’t follow the intro, drop, breakdown, drop procedure and often times these tracks are about stray thoughts or dreams. It’s basically just about having fun, if other people dig my music then obviously that makes me happy but i don’t live and die by the reception my tracks get. I never want to get stuck in a groove, which can be tempting at times when a certain vibe or sound does well. I just want to keep pushing until i crack something truly unique and interesting. Lately i’ve been told there are plenty of housey/techy vibes floating into my stuff, which is kind of cool and i’m always more than eager to get a bit of jungle thing going as well. I’ve producing now for a little over a year. It’s been a good trip and i’ve had a lot of help from some really good people. I guess here is the place to mention people like Milyoo, Ross Alexander, Drokkr and Welfare who have basically become my sounding board when i’m mid production. I can rely on those guys to point out when stuff is off or could be stronger, so i owe them a lot. What is the scene like in Ireland at the moment? Ireland is actually a really hot scene right now. Folk like Reach, !Kaboogie and Gamepak have all been nice enough to give me gigs and Drokkr has sorted me out on the Cork end of things. You’ve got guys like the Standard Crew who do a pretty amazing free montly EP series which is a must have in my opinion. Wobble recently killed things by bringing over Mala which turned out to be one of the nights of the year for a lot of people i think and Ignored Playaz seem to be pretty insistent on putting on savage nights and bringing in great talent. Throw in labels like DubCulture and the !Kaboogie releases, All City, Arcoplane and Rudimentary Records to name a few and you start to get a pretty hot scene by anyone’s standards. How are people reacting to your music? I’m just glad to be involved in a small way, everyone I have met has been really warm and welcoming. I talk to a lot of people on line and sometimes their local scenes seem to be a bit cutthroat, in Ireland people seem to focus solely on the music and help each other out quite a bit. I guess it’s also important to mention Radio na Lifé, who have consistantly made room for shows from local people doing dubstep, drum and bass and jungle shows, basically if you like any type of underground electronica you’ll find it on that station once the sun goes down. What motivates you to produce? I do what i do because i was basically tired of telling myself i couldn’t do it. I’m normally good for a challange but i went through a hazy part of my life that maybe rocked my self belief a little. I was in a job i hated and that really ground me down, the opportuinity came up to leave with a bit of a golden handshake and i jumped at it, bought a new laptop and some essentials and got stuck into the music. I’m happy with the progress i have made but have a long way to go and a lot left to learn about musical theory and production. Ironically i have probably worked harder over the last year than i have ever done for any job in the past. My end goal is to just be happy with my own output and try and become more than the sum of my influences. Do you work with a vision? The joy of electronic music is that it can have infinite meaning, you’re not pinned down to the theme of the vocals… people can listen and interpret things how they want to. Personnally, i find great strength and happiness in a lot of dark music that other people might see as being a bit depressed or scary. I’m a firm believer in the power of interpretation, I like the fact that i can put a track out there and know exactly what it’s about and why i wrote it and see other people’s interpretations of it. Kind of like being privy to a secret that noone else knows. Music is largely a way for me to either celebrate the good things or excercise some demons while retaining my privacy. 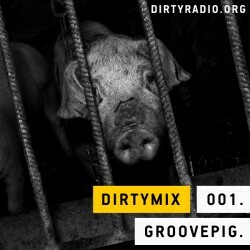 To kick off our new podcast series on dirtyradio, we take a dip into some deep house grooves from the ‘Celtic collaborative’ Groovepig. Each week, one of our invited guest producers and dj’s showcase an exclusive one hour continuous mix, giving them the chance to break genre barriers, and giving you an opportunity to explore a unique soundtrack. Despite the difficult schedule, we did manage to catch up with the pair before the release of the mix to find ot more about this project! dR: So what’s with the name Groovepig? dR: Was it easy working as an ‘incognito’ collaborative? dR: How long did it take to get this together? Dpig: “It took a very, long time, longer than it should – perhaps an 8 month journey from conception to final touches – maybe a couple of hours a week. We were transferring files back and forth over networks and working on it when we had time out of our personal schedules – sometimes a couple of hours a week! dR: Did you find yourself drifting into unfamiliar territory?